I think life is perfect. I believe so for many different reasons. Like… recently for example, just when I was starting to think that I might have seen every single cheesecake type and variety in the world I stumbled upon this wonderful recipe and a whole new cheesecake dimension opened up before my eyes. This is what you need to get as soon as possible. To make the crust, I used store-bought oatmeal cookies that I pulsed in the food processor. And I loved that taste. 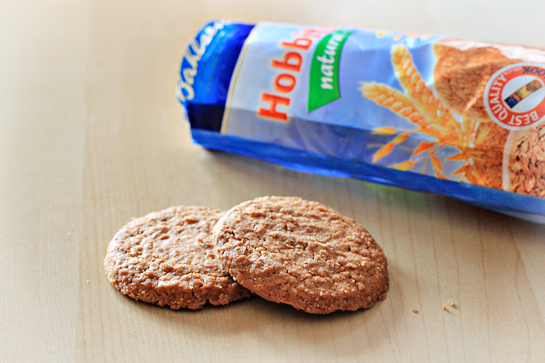 But, surely, graham crackers will do just fine. 1. Preheat the oven to 325 F (160 C). 2. 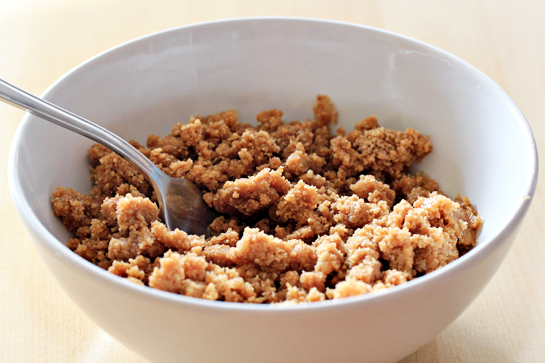 In a smaller bowl, combine the cookie crumbs, melted butter and sugar. Stir together with a fork until well blended. 3. 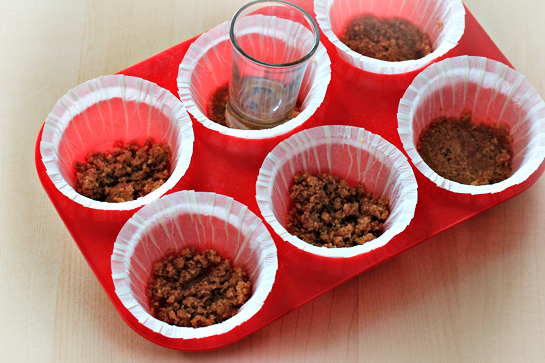 Line cupcake pans with paper liners. 4. Press 1 tablespoon of the mixture into the bottom of each cupcake liner. You can use a small glass to press the crumbs down. Bake for about 5 minutes. Transfer to a cooling rack. 5. 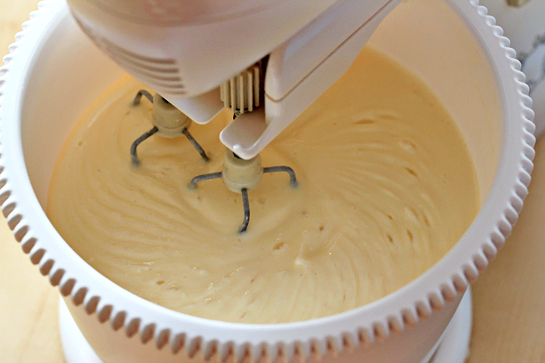 To make the cheesecake batter, beat the cream cheese in the bowl of an electric mixer until fluffy. Blend in the sugar until smooth. Mix in the salt and vanilla. Beat in the eggs one at a time, mixing well after each addition. 6. 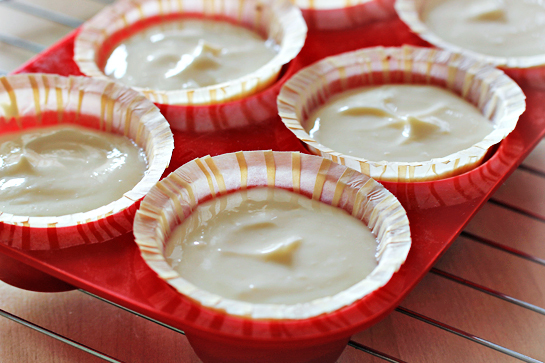 Spoon about 3 tablespoons of the cheesecake batter over the crust in each cupcake liner. 7. 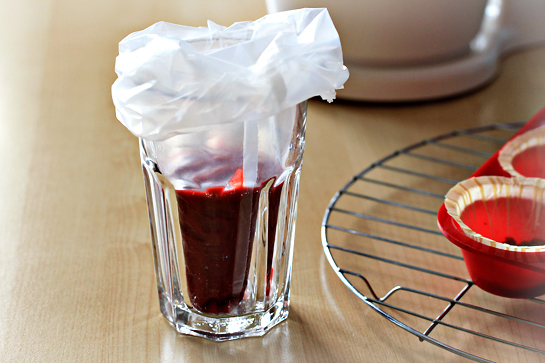 To make the fruit puree, combine the strawberries and sugar in a blender or food processor. Then spoon it into a piping bag (or don’t, because you can easily leave the puree in a bowl and use a spoon to work with it afterwards). 8. 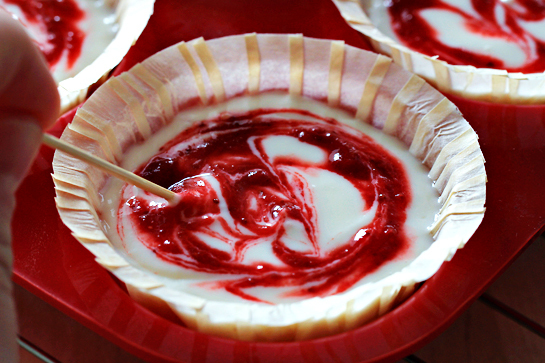 Dot the puree over the cheesecake filling. 9. And then use a toothpick or a wooden skewer to lightly swirl the surface. 10. Bake at 325 F (160 C) for about 22-25 minutes. 11. Transfer to a wire cooling rack and let cool to room temperature. 12. Then transfer to the refrigerator and let chill for at least 4 hours before serving. I wish you a sweet Valentine’s day, dear friends. (This recipe was adapted from the one and only annies-eats.com. It makes a million cupcakes. Not! Kidding, kidding. About 24, but that’s still heavenly many). Yum! I have just posted a strawberry cheesecake too! I used pretzels for my crust. 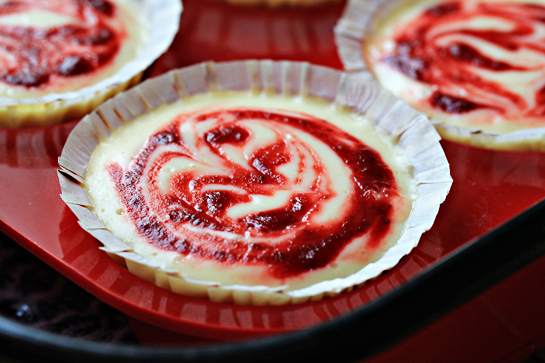 I like that I could make these individual cheesecakes. So cute! These look delicious! My daughter and I have to make them very soon. These look lovely! Happy V-day! You are so so so lucky to feel that life is perfect. I wish I could feel that way. 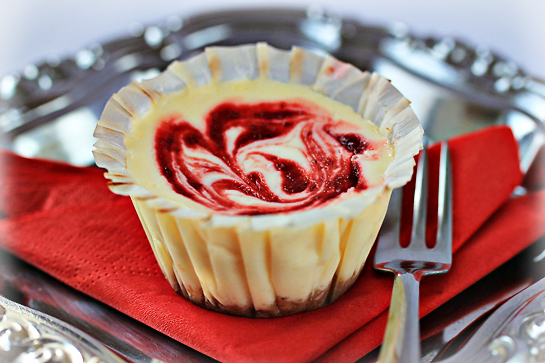 Anyway, those mini cheesecakes look fabulous! I love how simple the batter is and that it doesn’t require sour cream :). Wow the ingredient quantities are huge! How many does it make? I. have. to. make. these…like yesterday! these are amazingly delicious! 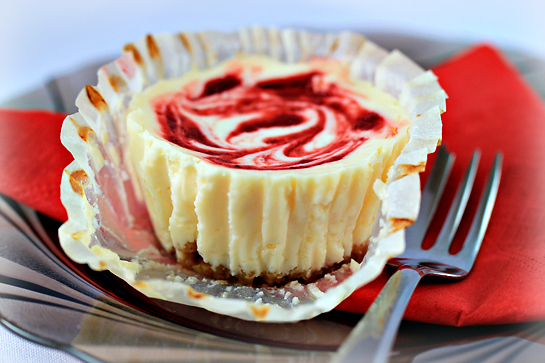 but one problem i had was that the edges of my cheesecake stuck the paper cupcake cups (but the middle was fine)! how can you not get it to stick? Hi, this is amazing…i like cheese so much…this will definitely my cup of tea…may i know how many cup of this cheesecake can we make by using these ingredients? do you bake them with just the cupcake pan in the oven, or do you put the pan in a larger pan with boiling water and bake it? I love the idea of having cheesecake in small portions and my (cheescake beginner) friends at my birthday party loved them too :). Thank you so much for your wonderful blog where I always find great ideas for new desserts! These look fantastic!! 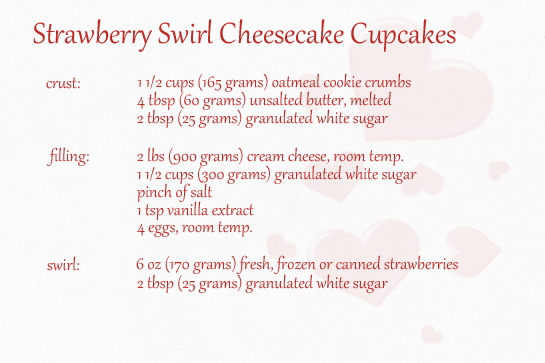 Iv’e been trying to look for a cheesecake recipe, but these are the cutest. My only concern is about the batter… Will it be flavorful? It seems so simple. :p will a regular metal cupcake pan work, and what are the actual steps to bake them? Diane’s question about the boiling water… and what paper cup brand would you recommend. Please post your reply 🙂 so other people can get some helpful info. Thank you! I am sure you will like these – the batter has a very nice flavor and you regular metal cupcake pan and regular paper cups will work. Hi! 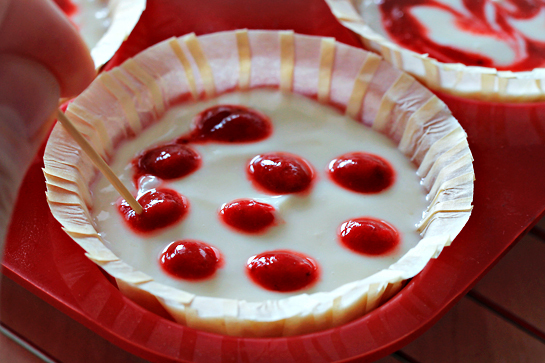 Your cheesecakes are so adorable that made me want to try this recipe for my sister’s birthday. so i’m just wondering what would the baking time/temperature be if i use a springform pan in baking this recipe? and do we bake it on a boiling water?